All prizes remaining as of Saturday, November 27. 2nd Chance Contest including an all expenses paid trip to a movie premier destination of your choice, a home theater packages or movie tickets for a year! 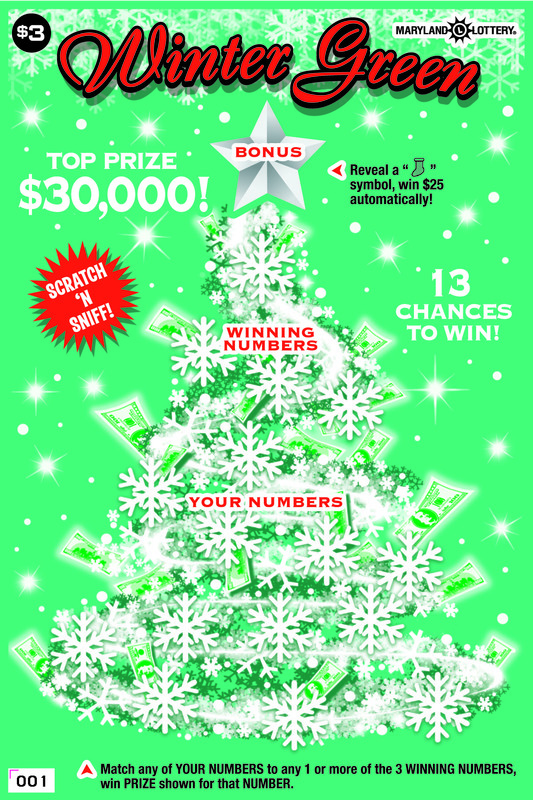 YULE Love Our Holiday Scratch-Offs! This scratch-n-sniff scratch-off makes a great gift. Santa Claus scenes painted by R.J. McDonald. This game is designed to be used as a holiday gift as it has a gift tag “to” and “from” area right on the ticket. 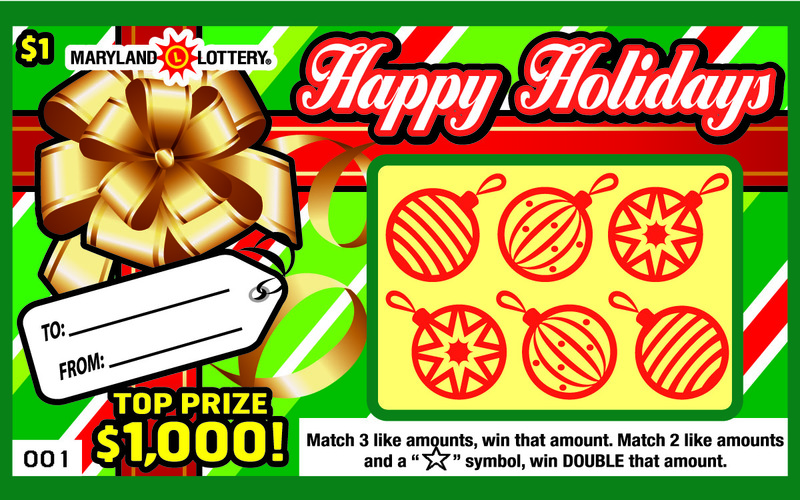 This entry was posted in Hot Five and tagged cinema cash, happy holidays, holiday scratch-offs, holiday treasures, Hot Five, winter green, winter riches. Bookmark the permalink. Can you tell me what the biggest Multi Match jackpot ever was? The site only lists the biggest Lotto jackpots, it would be nice if you seperated the two since Lotto is old news…. J Robert: The largest Multi-Match jackpot ever was $4.8 million in September of 2009. Two co-workers from Dundalk claimed the prize. You can read their story here. My birthday will come soon on dec 7, what’s scratch off game i should buy? :)) may be do you know the best scratch off for my Birthday? 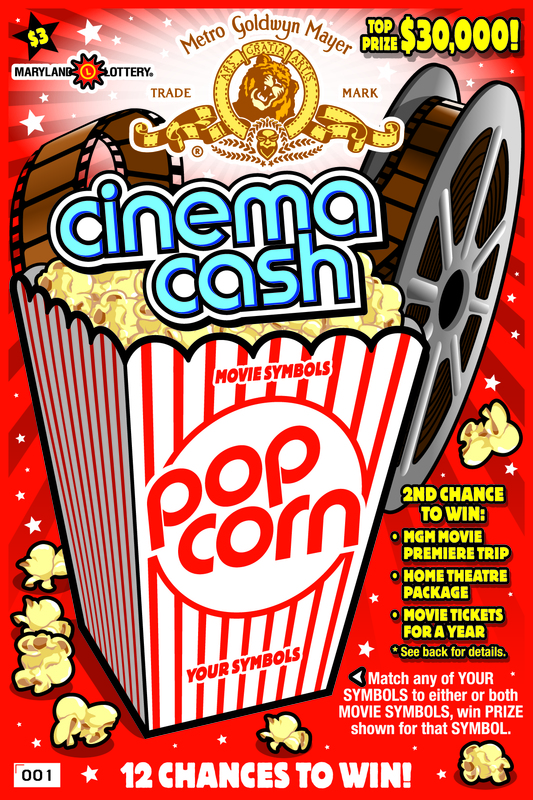 second: when the deadline to send cinema cash non winning ticket to get drawing? I am very disappointed with Keno. I play the game daily and sometime spend as much a couple hundred dollars a day. I have not been able to hit the jackpot. It seen to me. when my slip is put thru the machine, something blocks the numbers. A couple of years ago, I would win. What is going on? I will stop playing all together. Ethel: We’re sorry you’ve been disappointed with your gaming experience of late. Please remember that winning numbers for all of our games have always been – and will continue to be – purely the luck of the draw and a matter of random chance. There is no relationship between what players are playing and what the keno system draws. Thanks for writing in. We appreciate hearing from our players. zack: The Set For Life 2 drawing has not yet been set. Please stay tuned for details as the game is 96% sold. do you have to be a 5000 yarder to win in this drawing ??? brian: No you do not. All Ravens Cash Fantasy 2nd chance drawings are random. What is the current percentage sold? I find it odd that over 80% (that i know of) has been sold and NO ONE has one $1 million dollar prize. Has any of the 1M tickets even been printed yet? This is my favorite (and only) scratch off I play. Rose: Platinum Reward is 80% sold. 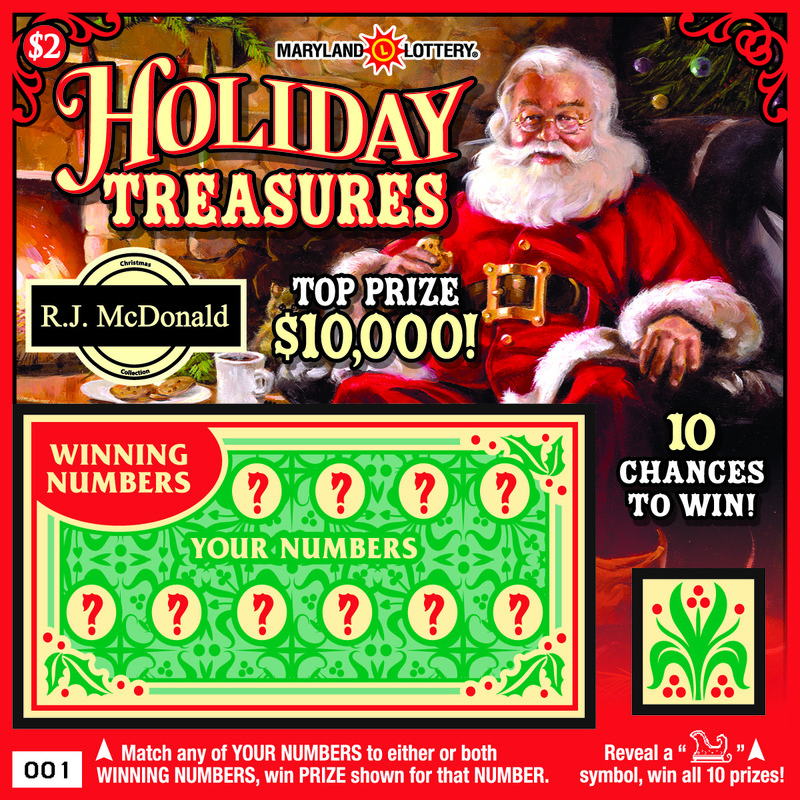 All scratch-off games are printed at once. Sometimes you have games with top prizes that are hit quickly such as Ravens Cash Fantasy, where two of the three have been claimed. Other games it takes some time. Winning tickets are distributed randomly throughout an entire game and there is no pattern as to where winning tickets will occur. In this thread it says there is 5 $3,000 prizes left on Winter Green, I never remember seeing that prize be possible on to prizes remaining page. Is there really $3,000 prizes on winter green or is that a misprint? Matthew: You are correct. Thank you for pointing that out. I apologize for the typo. Tom: If you were a Let It Snow winner a voucher receipt would have been issued directly after your Pick 3 ticket. It would have looked similar to the example voucher receipt included above. If you feel you were misled in anyway and did not receive your voucher, please contact the Lottery security department at 410-230-8800. J Robert: Money Money Money is 83% sold. 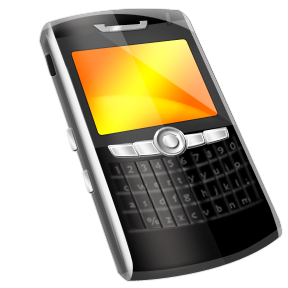 Are there any HOT STREAK – LUCKY 8’s or CASHINO tickets in or near the 21666 area? Also what is the percentage sold for each? Mary: Unfortunately, there are no Lucky 8’s in your area. Hot Streak and Cashino are both in final claim phase and we do not have the ability to see if inventory still exists in your area for those games. Good luck. What percentage of Double Wammy sold???? After almost 2 years we still haven’t been told when the C-A-S-H drawing for Set For Life will take place!! Did someone forget??? We didn’t!!! What percentage of Set for Life is left to be sold???? Are we going to drag this out till the last ticket is sold,and if so can it be willed to my hiers????? Double Whammy is 76% sold. Set For Life 2 is 96% sold. We have not forgotten about the drawing, however, at this time I do not have any news regarding when it will be. Please stay tuned for an update as we are quickly approaching the end of this game. When is the Cash Spectacular going to be on the remaining scratch off page? We apologize for the oversight. I have asked to have this added ASAP. mbee: We apologize for the oversight. I have asked to have this added ASAP. I would like to complain about the Ravens Scratch off’s. Last year I bought quite a few of them the most I won was $15.oo. This year has been horrible I have purchased many tickets and have not won a dollar. My grandson and his friend bought $200 worth at one time and won nothing. It is a big rip off and should not even have the Ravens name on them. KathyPhillips: Winning tickets are distributed randomly throughout an entire game. If the average chance of winning a prize is 1:5, this does not mean there is an automatic winner within every five consecutive tickets. There is no pattern as to where winning tickets will occur. 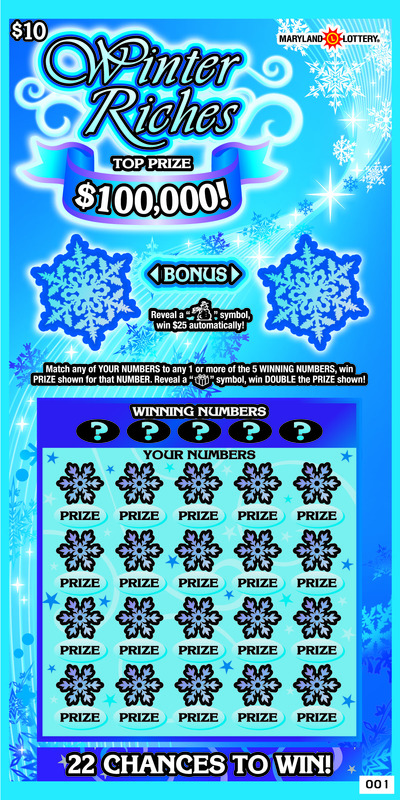 Just as the possibility of purchasing a winning ticket exists, it is also possible to buy multiple tickets back-to-back without receiving a winner at all. Like all Lottery games, scratch-off results are purely the luck of the draw and are simply a matter of random chance. In addition, the odds on the back of the ticket are the ‘overall odds,’ which is best described as the ratio of winning tickets to non-winning tickets from all tickets printed for the game. Rachel: I’ll go ahead and add them percentage sold to each game in the entry above. Also, please be on the look out for improvements to our website in the near future where this information is readily available for all scratch-off games. I FIND NO PROBLEM WITH SUPPORTING OUR STATE THRU LOTTERY PLAYING IN ANY FORM. HOWEVER, I THINK THE STATE SHOULD PROVIDE A MONTHLY BREAKDOWN OF WHERE ALL THE MONEY GOES . I THOUGHT IT WAS REALLY GOOD THAT THE CASINO PROVIDED US WITH SUCH A BREAKDOWN. IT IS ALWAYS NICE TO KNOW WHERE MY MONEY GOES. Frances Fortney: We always want to be as transparent as possible with our information. Feel free to check out our WHERE THE MONEY GOES page for this information. This page is updated after each fiscal year. We the people of Maryland keep hearing about the debt the state is in. Where would we be without the lottery and the BILLIONS of dollars that it haspumped into our economy,we all love to play and if it wasn’t for the people supporting the state lottery our great state would be in poverty. Thank you for giveing us a fun way to support our state and do our civic duty.